PrestaShop, an advanced and user-friendly platform, rightfully belongs to the current shopping cart elite. It’s appealing to veterans due to powerfulness and reliability while e-Commerce youngsters love it for a stylish dashboard and modern flashy features. The platform’s formed a substantial army of users over the years, thanks to its ability to modernize and surprise users with every new build. Shop owners are always eager to catch the latest enhancements new PrestaShop versions bring, and Cart2Cart offers a quick, alternative way to do that - a PrestaShop to PrestaShop migration. 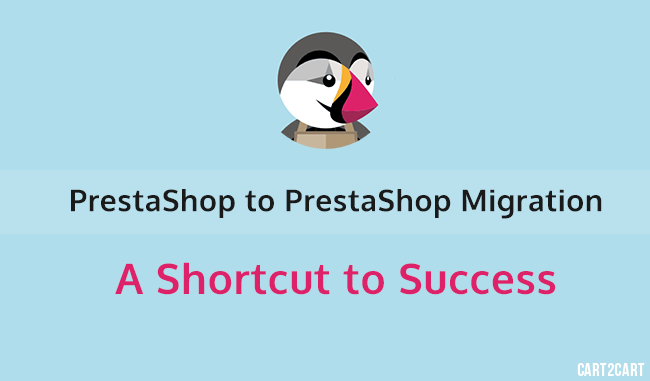 So, if you want to upgrade your PrestaShop right now we’re here to serve - just try our free Demo Migration. Good luck with your business.